Do you remember those days long ago when your mom and dad would drop you off for summer camp? I do, whether it was boy scout camp or safety patrol school camp. It was always a wonderful adventure. Always came home with cuts and bruises and memories. I thought that those days were gone, until our friend Shannon Koprivich told us about a camp for adults that she and a friend were organizing…Camp Runaway…how appropriate. Shannon and her business partner and friend Cristin Moor were campers at Tall Timbers Campground in West Virginia when they were in the 5th grade. The two of them and other campers have remained in contact to this day. Current owner, Glenn Smith, was the camp director back in those days as well. His father had established the camp in 1970. 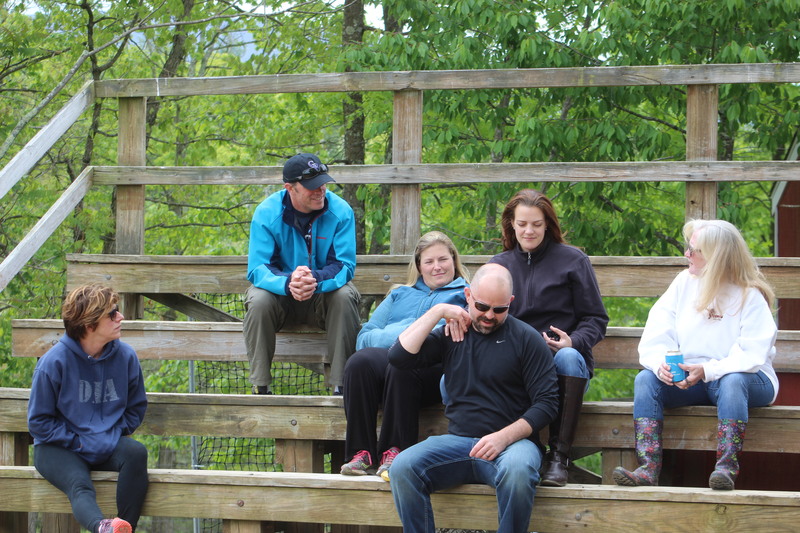 Last month these organizers brought to fruition the first Camp Runaway at Camp Tall Timbers in High View, West Virginia. At 70 years old I thought that I might be biting off more than I could chew and may not be up to those physically challenging days of yesteryear. I was right. 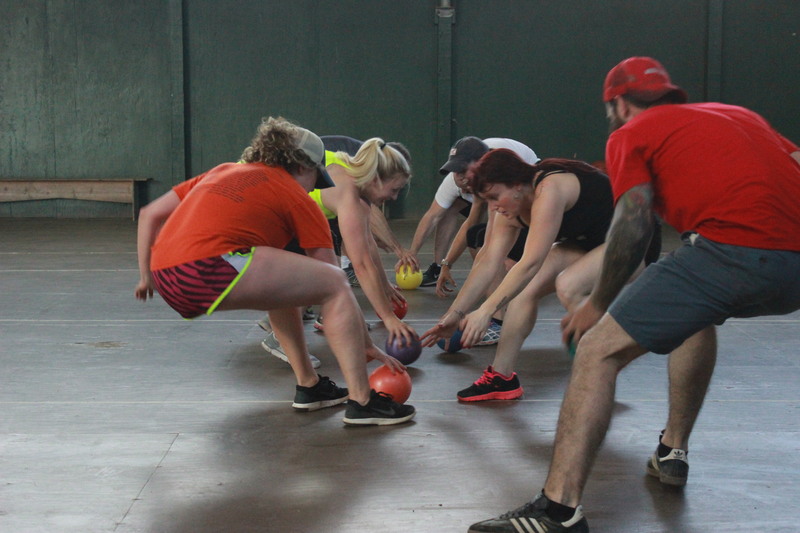 Although the desire was there, immobility is not a strength in dodge ball. The average age of the 25 campers was probably in the mid to late 30’s and all in good shape. As I mention earlier, some were former kid campers who came back from as far as California, Colorado and Florida. Old friendships were rekindled and new ones made. After registering on Friday we all just kind of hung out, introduced ourselves and had a few adult beverages – this is a huge benefit of “adult” camp – until someone brought up the idea of dodge ball in the Pavilion. The weather didn’t really cooperate with us – rained off and on the whole time so events that would normally be held outdoors were taken to the Pavilion. This didn’t stop the fun, several of the guys and gals headed up the hill to to arrange the benches in a circle for a tame game of dodge ball. Soon the ladies emerged heading back to their cabin and I resigned myself to the fact that they had enough. How wrong I was! They all emerged a few minutes later changed into their workout/fitness attire and double-timed it back to the pavilion. I grabbed my camera and followed along. The benches were back along the walls of the pavilion and co-ed dodge ball was in full fury. All of these campers were not only fit, but also fiercely competitive. How I longed to be on that floor. Soon the camp bell rang out that dinner was on the grill. 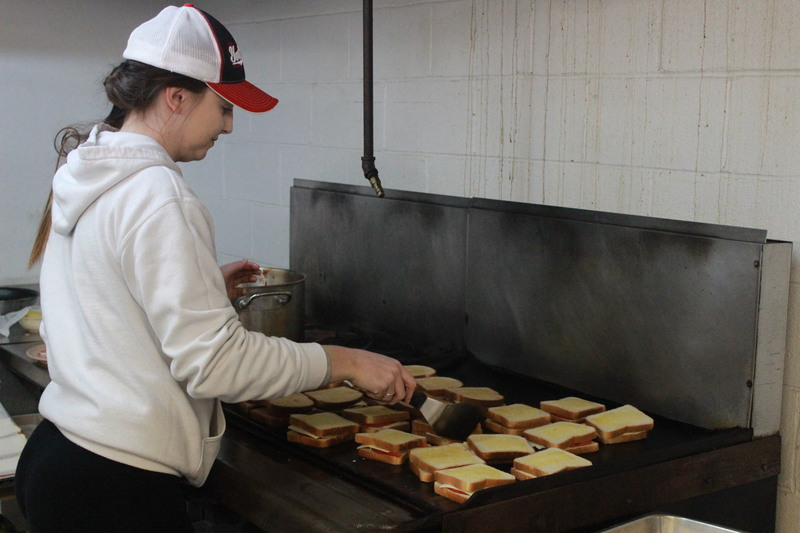 The first night dinner was perfect…hot dogs and hamburgers on the grill with potato salad and fixins. With plenty of picnic tables around it was a great opportunity to talk with new friends. Unlike those camps long ago, there was beer and wine to accompany the food and create a mellow mood. 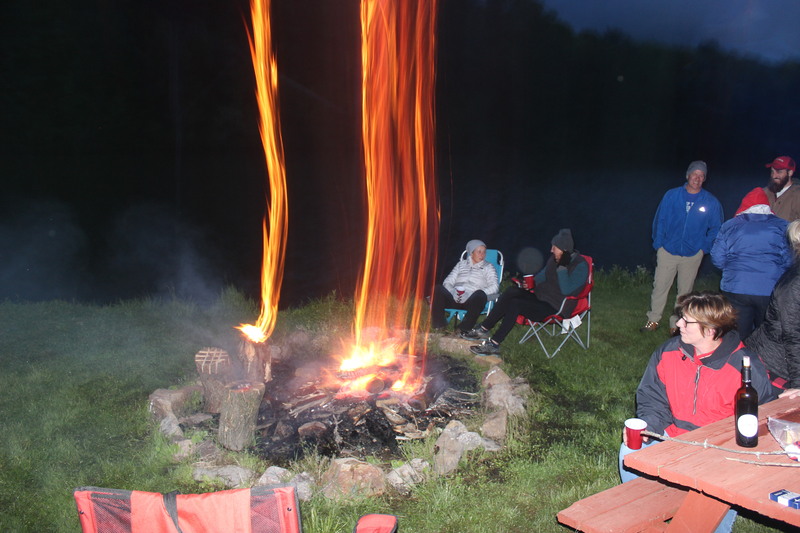 The group decided to walk down to the lake for a bonfire and some guitar music provided by the campers. I opted out because the hill back could have been a challenge. I retired to the boys cabin – did I mention that the boys stayed in one cabin and the girls in another just like back in the day – and retired in my boy’s bunk bed with one vinyl lined mattress, a sheet and a blanket. It wasn’t a four star hotel but I quickly fell asleep. The next morning there was 7:30 yoga scheduled by the lake, but because of the cool and damp weather it was cancelled. Breakfast began at 8:00 am. Coffee and pancakes with lots of syrup as well as cereal and plenty of fruit. Not a large variety but very filling, after all, it was camp. Camp Runaway was organized yet flexible. I was amazed at the effort that went in to pulling this weekend together! After breakfast there were a large array of physical activities including a rousing game of kickball but there were also art and craft sessions and more. I chose the Creative Writing session that was held by Cristin Terrill Moor. It turns out that Cristin has written a few books with some considered for movies and Terill is her pen name. It was an informative hour, and then we broke for lunch. There was no problem getting campers to the table as the line filled quickly. This is still one of my favorites…grilled cheese sandwiches with fresh tomato slices, tomato soup and watermelon. As a treat there were mimosas after lunch. 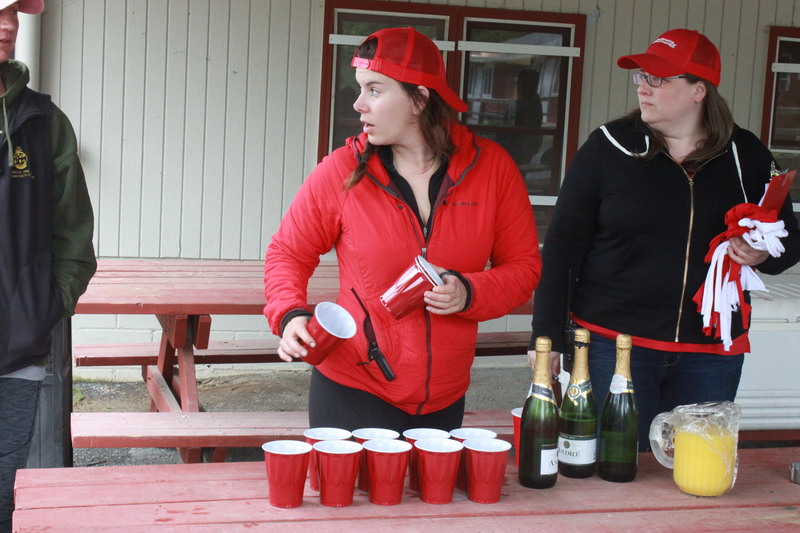 There was also a break to challenge each other in a new “adult” camp game…beer pong. I never knew that a ping-pong ball could be so challenging. The main event took place Saturday afternoon. The Color War! This was a lot of fun! The Color War worked something like this. 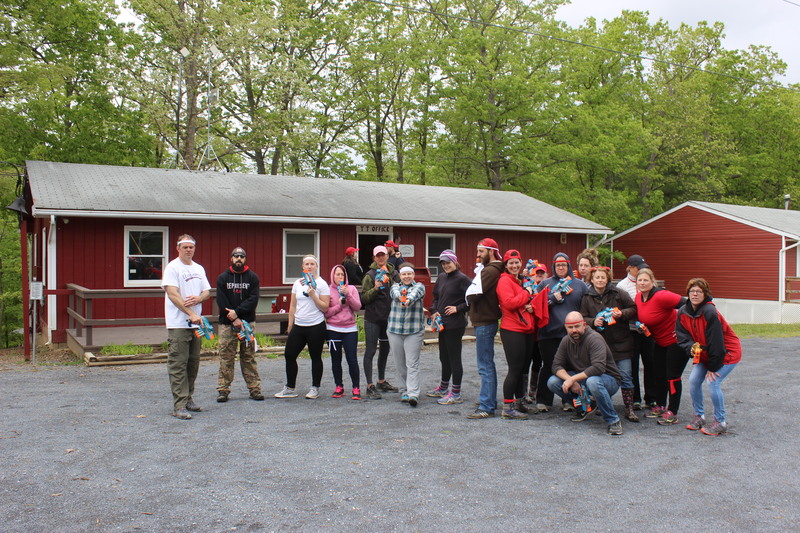 The campers were divided into two teams – The Red Team and The White Team with each being “Captained” by one of the “counselors” (I use that word loosely in this case). The first task at hand was the capturing of the opposing teams flag. 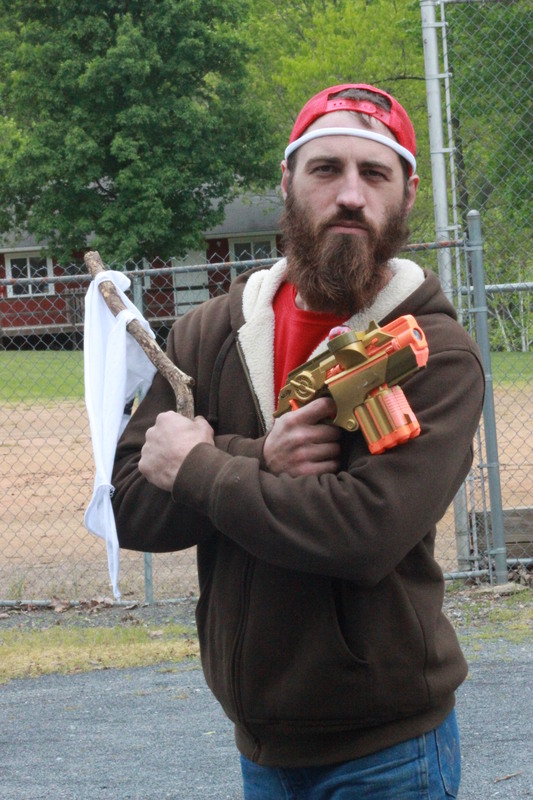 The two “armies” were provisioned with laser tag guns and the object being to capture the hidden flag of the opposing group. As the attacks began, if you were “tagged” by an opponents laser gun, you were out of the game. With campers running everywhere, the action was intense and in short, speed prevailed as the white team captured the red flag of the opposition. After the capture, the rest of the afternoon was spent by the teams participating in multiple competitions. Said competitions included a water balloon toss, a three-legged race, scissors/paper/rock and a relay race that pretty much covered most of the camp. It began with a race of filling a small tub from a larger tub of water with a half-gallon bottle with holes. From there it was a race to break open a block of ice and find the five coins, run to the next team who were to do bat spins and run around an object. This led to several other legs that included a song contest (email me and I will tell you about that), friendship bracelet making, a basketball shot challenge, eating a pudding cup and a cup of ice cream and chugging a club soda ALL without hands and then another small relay from the tennis courts to the horse stalls. The physical last leg of the race was each teams best runner (turns out both were women) had to run down the hill to the lake and retrieve a cup of water. The grand finale was building a balloon tower in the mess hall until it touched the ceiling and then popping all the balloons. It appears that these games of competition were designed to create camaraderie and they certainly delivered. The Red Team took the prize but it was a close call! The night ended with another bonfire at the lake with ‘smores and spiked hot chocolate and some bubbly. I made this trip and it was a fitting fire for a great day. Back at the canteen there were a few more beers and a viewing of a very B class 1980’s circa horror movie – Sleepaway Camp! Google it! Good byes were said at breakfast on Sunday morning as campers went on their way; some to drive home while others went to catch their flights. It is easy to hang around at times like this because you never want camp to end, and besides, I didn’t have to go when my mom showed up…I was on my own! This was the first Camp Runaway but they are planning for another but no dates yet. Look to the Old Town Crier for any announcement or check out their face book page or website at camprunaway.com. Note: Camp Runaway was held at Camp Tall Timbers in High View, WVA. At Camp Tall Timbers they have been serving up fun and rewarding camp experiences every summer for over 45 years. 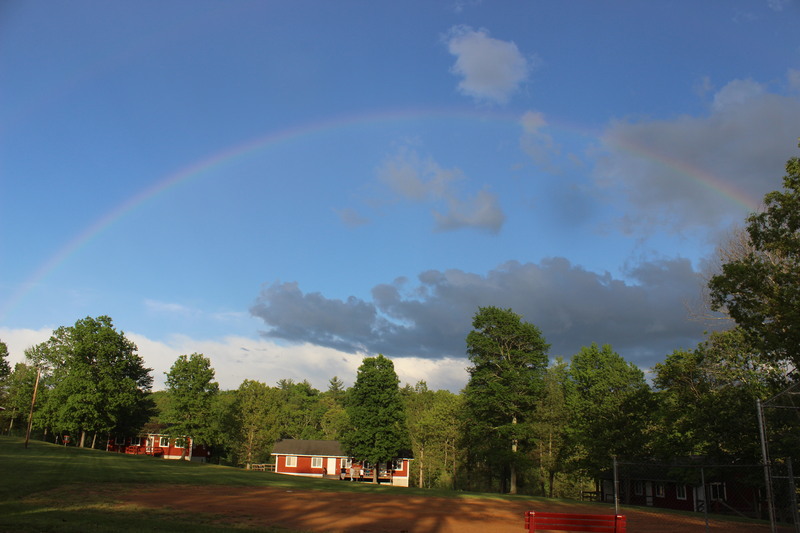 Located in the beautiful foothills of the Blue Ridge Mountains, Camp Tall Timbers is convenient from throughout the DMV. Their camp offers a wide variety of entertaining, engaging and inspiring activities for boys and girls from ages 7 to 16. Their camp experience promotes independence, decision-making, socialization, skill building, confidence, creativity, and self-discovery in a safe d nurturing environment. Campers are encouraged to be themselves, try something new, unplug and have fun.